Organized by Ted Masten, MPIA. 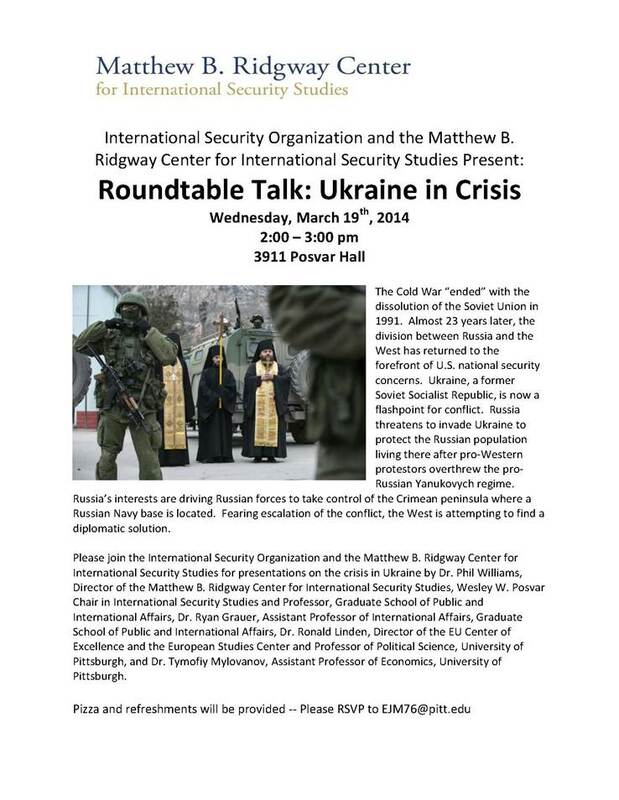 Please join the International Security Organization and the Ridgway Center for a roundtable discussion on March 19th in Room 3911 from 2:00 pm – 3:00 pm. RSVP to EJM76 [at] pitt.edu. The transportation of energy, such as oil and natural gas, is a source of contention between Russia and Ukraine. 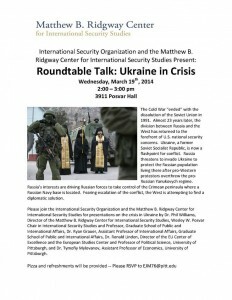 The energy relationship between Russia and Ukraine affects all states in the region, both directly and indirectly. However, the Russo-Ukrainian energy issue is a symptom, not a cause, of the tensions that stem from several underlying problems.